Trash and recycling services are provided as a service of the HOA and are included in your monthly assessment. 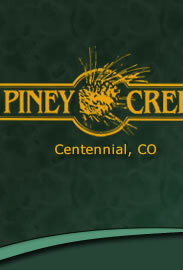 If you receive an invoice from Waste Management please contact the on-site manager at mgr@pineycreek.org or (303) 699.8069. There should be NO charges to Piney Creek homeowners for the regular trash and recycling services. Our recycling week is the green week. See notes below regarding the holiday schedule. What Do I Do If My Trash/Recycling Wasn’t Picked Up? On occasion, our trash and recycling company will skip a home or even an entire block during their scheduled pickups. While we cannot prevent these occasional mistakes from occurring, we can assist you when they do. Should this ever happen to you, we ask that you notify the Community Manager at mgr@pineycreek.org as soon as possible. This will allow us to reach out to our representatives with the company in an effort to get the matter resolved as quickly as possible. We do encourage you to contact Waste Management at 303-797-1600, but notifying us should be your first step. You are also free to call the Onsite Community Manager at 303-699-8069 to report these problems, although email is preferred and allows for a quicker transfer of information to Waste Management. As part of the HOA contract with Waste Management, toters are available to homeowners at no charge. Homeowners have the option to use their own trash receptacles, or request a 96 gallon trash toter, recycling toter, or both. If you would like to receive a toter please email the Community Manager at mgr@pineycreek.org so he may notify Waste Management for you. The Association will notify Waste Management on a weekly basis of requests. Waste Management will then deliver your toters to your residence within the following two weeks. We ask that you put your requests through the onsite office in order for the Association to be able to track how many homeowners are participating. Please take a moment when determining whether or not or get a toter that you have space to store the toter in accordance with the Association’s Rules. All trash, refuse, rubbish, garbage, and other waste shall be kept in closed containers. These containers shall be kept within the garage, or if placed outside shall be screened from the view of any public or private property using approved means. Trash is not to be placed on the curb prior to 6pm the evening before collection. Cans and bins must be removed from the street the day of garbage collection and returned to your garage or enclosure. Services are provided by Waste Management of Colorado, 303-797-1600. Trash pickup is every Monday. When the collection day falls on New Year’s Day, Memorial Day, Independence Day, Labor Day, or Christmas Day, the pickup will be on Tuesday. If the holiday falls on a Sunday, the following Monday is a federal holiday, and collection will be on Tuesday. Waste Management offers special pick up services for large items or bulk items such as furniture or appliances. Special pick-ups can be arranged by contacting WM online or calling the customer service center. These services cost extra and will be billed to the homeowner. Weight of bags or containers should be no more than 40 pounds. Unlimited disposal of bagged or containerized household trash and up to ten bags of yard waste per pick-up. Recycling pickup is every other week on the same day as trash collection. Single stream recycling - no sorting of materials into separate bins. One truck will pickup regular trash, and a second truck will pickup recycle. Polystyrene and foam cups, packaging materials and peanuts.